Fredericks: Spicer Was Right. Scaramucci Has To Go Now! 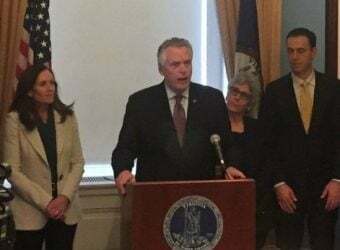 As a McAuliffe supporter, I’m deeply disappointed in your attempt to politicize the baseball field shooting tragedy to help you in the 2020 Iowa Caucuses. I get that you have to brandish your progressive street cred with the super Left in your Presidential bid. However, your comments yesterday on gun control as innocent people were fighting for their lives was uncouth, insensitive, myopic and beyond the pale of human decency. You’re better than that, Governor.